Orlando Cruz failed in his bid to become the first openly-gay world champion as he lost to Orlando Salido in Las Vegas on Saturday night. The Puerto Rican was the first active boxer to come out last year and earned his shot at the vacant WBO featherweight title with two subsequent victories. 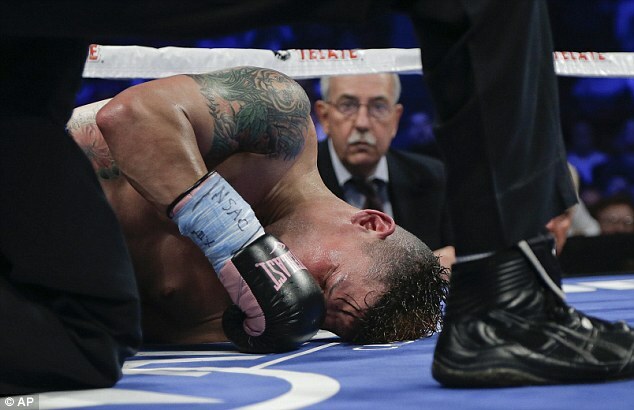 But he fell short in his first challenge at the highest level as he was out-gunned and overpowered by Salido who was crowned champion for the third time. The 32-year-old Mexican's last reign came to an end in January when he was stopped by Mikey Garcia but the new champion then weighed in heavy for his first defence against Juan Manuel Lopez. Although he won the fight in the fourth round, his indiscretion meant he could not retain the title. 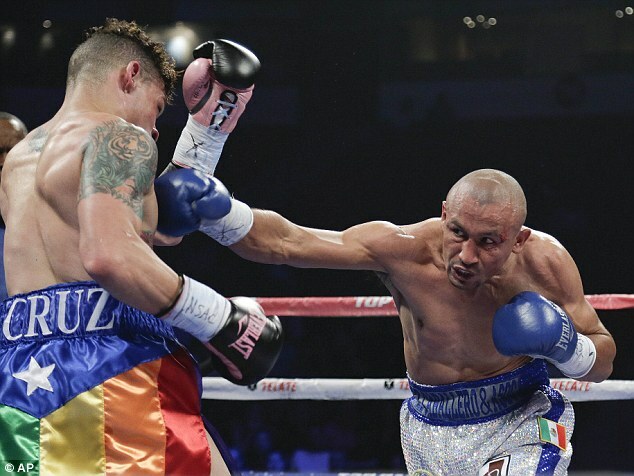 That offered Salido the chance to regain his place at the top of the division – one he grabbed with both hands. A tentative first round saw him twice warned for low blows as both men showed a reluctance to commit in the opening stages. But it was Salido who increased the tempo in the second round, taking control of the centre of the ring and showing more conviction in his punches. 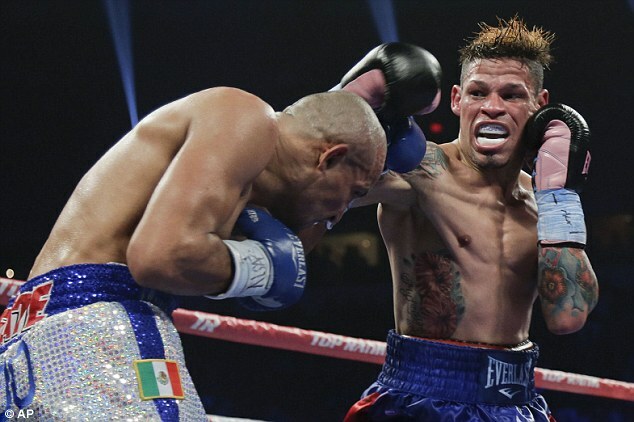 Cruz, 32, continued to show a reluctance to engage as he attempted to dance away from his opponent and Salido eased into an early lead on the scorecards. As if finally acknowledging the deficit, Cruz began to fight fire with fire in the fourth session but the volume of punches continued to come from the opposite corner. Having soaked up the best Salido could offer, Cruz enjoyed his best round to date in the fifth but was soon on the back foot again as the bout reached the halfway stage. And his valiant challenge came to an abrupt end when a right hook and left uppercut topped off yet another flurry of punches just over a minute into the seventh round. Salido is expected to defend his title against amateur sensation Vasyl Lomachenko in January after the Ukrainian began his professional career with a stoppage victory.